We’re at midcourt, and the ball is about to go up…it’s Monday Tip-Off! Start your week here at the NLSC with a feature that’s dedicated to opinions, commentary, and other fun stuff related to NBA Live, NBA 2K, and other basketball video games. This week, I’m tipping things off with a few thoughts on modes and features that are missing in recent games, and as such, tend to be sorely missed. With their annual releases, sports video games are often criticised for being little more than a patch, roster update, or expansion pack sold at retail price. While it’s an understandable criticism, and those of us who buy the games every year certainly do want to get value for money, it is selling developers like EA Sports and Visual Concepts short. A lot of time and energy goes into the development of the games, and while the results aren’t always want we want, we generally see some pleasing improvements, and new content beyond updated rosters for the new season. Of course, it’s always frustrating when it seems like one step forward, two steps back. As much as we hate to see new games make missteps in terms of the gameplay experience, it’s arguably even more frustrating when modes and other features that we really enjoyed in previous games are cut from future releases. Even though there may be perfectly valid reasons for their removal – technical or otherwise – it generally doesn’t lessen the sting of losing the experiences and functionality they provided. As I look ahead to NBA Live 18 and NBA 2K18, and think about the news I’d like to hear in the upcoming preview season, I can’t help but reflect on some of the modes and features that I miss in both games. Welcome to this week’s edition of The Friday Five! The Friday Five is a feature that I post every Friday in which I give my thoughts on a topic that’s related to NBA Live, NBA 2K, and other basketball video games, as well as the real NBA, and other areas of interest to our community. The feature is presented as either a list of five items, or in the form of a Top 5 countdown. 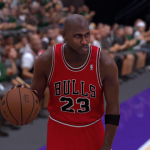 This week’s Five is a list of features that I’d like to see return in future NBA 2K games. While many of us do have our gripes with recent NBA 2K games, for the most part the series has been very solid for a long time now. 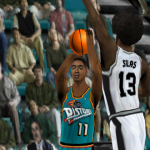 Unlike NBA Live, it hasn’t been set back by frequent changes in direction. Instead, it’s continued to build upon its established foundation, and the quality of the experience has been fairly consistent as a result. 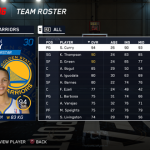 The depth of the modes and the assortment of features and options have gone a long way in making NBA 2K successful. From robust single player experiences to different modes for online play, to roster editing and customisation, there’s a lot for basketball gamers to sink their teeth into. Unfortunately, some features have fallen by the wayside over the years. There are various reasons for their absence in recent titles, from technical issues to design choices. Thankfully, we have seen some really great features make their way back into the game, such as the “Start Today” option in MyLEAGUE and MyGM. 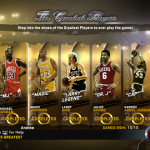 However, there are still some other features from past NBA 2K titles that would make a deep and well-rounded product even better, if they were to return. These are the five features that spring immediately to mind for me. Episode #174 of the NLSC Podcast is out now! The release of NBA 2K17 is getting closer and closer, and once again we’ve got a significant amount of news to cover. We also have some stories to share about the latest exploits of the NLSC squad in 2K Pro-Am, and a trip down memory lane with NBA 2K12. 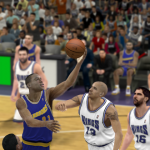 We tip things off with a discussion about The Prelude, the downloadable experience for the PlayStation 4 and Xbox One versions of NBA 2K17 that will preview MyCAREER. A recent 2K media day has given us quite a bit of information about NBA 2K17, and a lot of it is very good news. A lot of positive impressions are also coming out of the recent community event. At last, we have our first deep-dive developer blog, courtesy of Gameplay Director Mike Wang! The man they call Beluba has given us some very promising information about this year’s game. How optimistic and hyped are we for NBA 2K17, just a couple of weeks away from the Early Tip-Off Weekend? 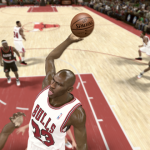 In Our Week in Basketball Gaming: a goal is achieved by the NLSC squad in 2K Pro-Am. 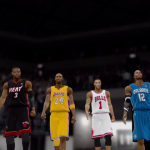 Also, some unfinished business is finally completed in NBA 2K12. We wrap up another episode with our new favourite game, Trivia Time! The score is close, and we have a fresh new batch of questions for at least the next six weeks.